The following comments about attractions in Brussels have been posted from individuals. We believe that the best reviews of Brussels, Belgium are written by travellers and holiday makers who have experienced Brussels first hand and want to share their thoughts. Can you share yours? 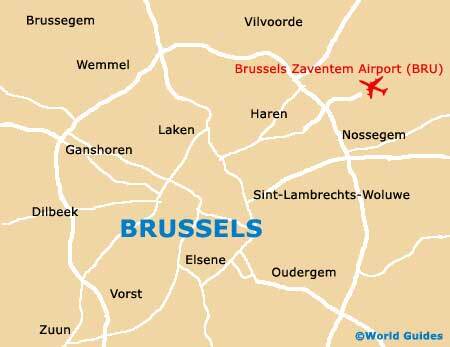 Please help us expand this section of our Brussels World Guide. Let us know what you think about the attractions in Brussels, Belgium. Submit comments about Brussels attractions here. The Galeries Royales St. Hubert is a big collection of shop and is close to the Rue de l'Ecuyer. A lot of the shops here tend to by chocolateries and so if you have a sweet tooth, you will find the window displays and the very definite smells of cholocate quite irresistable. We stopped off at a cafe and enjoyed a cup of... yes, you guessed it... hot chocolate of course! I really enjoyed my time walking around Brussels. it was a really good way to properly explore the city centre. We stopped off at the tourist office, which is located on the Grote Markt, and picked up a map, which was certainly a sensible idea. The MIM is the Musical Instrument Museum - a museum with a difference. There are literally thousands of different kinds of musical instruments here, and you could easily spend a day here. When we went in we were given a pair of headphones each and then everytime we stood right in front of one of the musical instruments, we could hear it being played. Genius! After all that fun we had a meal on the restaurant upstairs - it was very busy that day and we did have to wait a bit, but the food was nice and the views, well, they were pretty awesome. Please note that these Brussels, Belgium comments and reviews are posted by individuals and are not necessarily the views of World Guides.